Sunday morning again which means another visit to the Playground with a Snippets card and this time the lovely Di has made a bright and colourful floral card showcasing the items which will be the prize this time for a lucky someone and of course using lots of her snippets along the way. 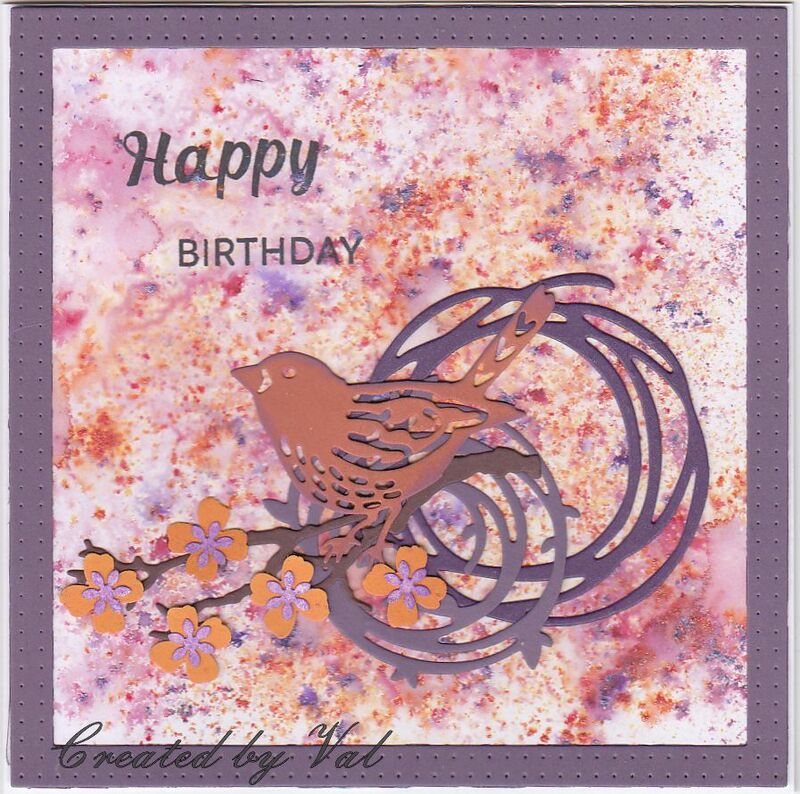 My card this time started with a large snippet of card which had been coloured using Pixie Powders and it so happened I had a die cut frame left over from another project. Various snippets were used to cut out some swirls, a bird, a branch and some blossom. I then raided my pot of 'waste' which has lots of tiny scraps from either die cutting or punching - there I found some matching tiny flowers for the centres of the blossom on the branch. Never throw anything away, that's me!!! 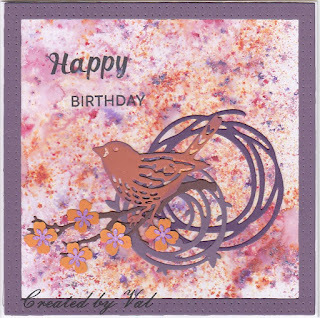 Using the Misti I stamped the sentiment onto the background. The Pixie Powders give a lovely sheen to the background which doesn't really show here. Oh wow Val, this is stunning. I love the gorgeous background you've created for these wonderful die cut, a perfect way of using up your scraps. A great use of snippets, I'm sure the background looks amazing 'in the card', it's so difficult to catch sparkle and shine in photographs. what a gorgeous snippets card and such great use of snippets too. Love the pixie powder background it's so lovely. Oh Val - this is just lovely! Those Pixie Powders sound and look fabulous! A really stylish card - and great use of snippets of course. Many thanks for your very kind words! You know what, I think I have the SU Swirly Scribbles die set now I come to think - never. ever used! Thanks for the memory jog - now I only have to find it of course. Sigh. What a cute little bird, and I have to check into the Pixie powders - have not heard of them before, but they look fun!